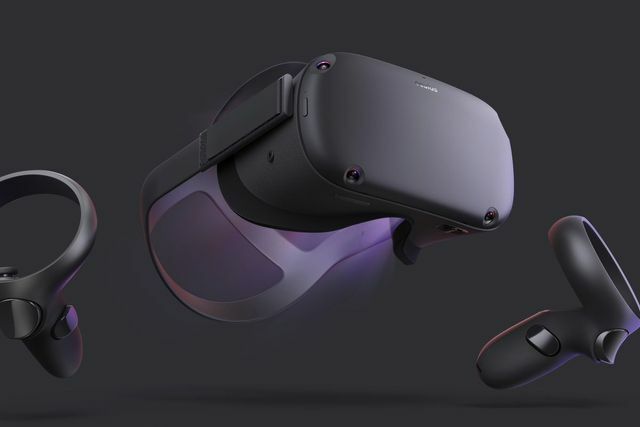 With the start of Oculus Connect 5 (OC5) kicking off with a bit of a bang, the most anticipated announcement, the Santa Cruz stand alone headset, made center stage as expected, now called the Oculus Quest. Although we have been hearing things here and there about this headset for a while, we now have concrete information about the Quest headset, including specs, functions, launch titles, price and release date. I am going to round up the most important aspects of this announcement in one place so you know largely what to expect upon release. First things first, the Quest is set to launch in Spring 2019, and although there is no definite date, a Q1 2019 launch means we won't have to wait to much longer to get our hands on this headset. I feel this also strategically places itself far enough away or before other major hardware releases so as to hold the market interest to itself, setting up for a strong launch. The price tag is also something of note, as it sets it self very interestingly within the market place, especially as it pushes itself as a high-end device that does not require a PC to run. At $399 it sets itself as a great competitor to other stand alone headsets both VR and AR a like, especially considering it is a full 6DoF headset. 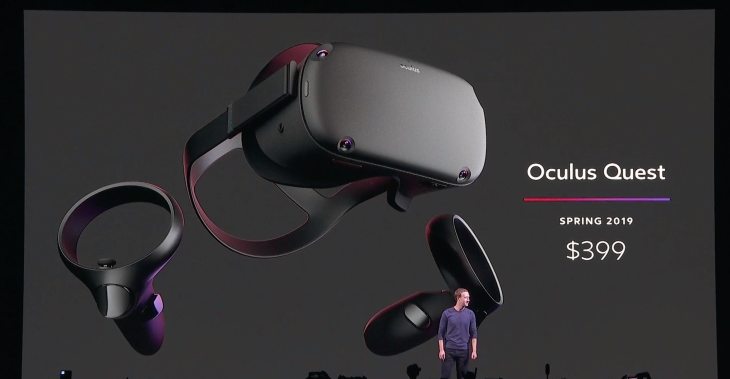 Some people will be thinking, Oculus has just released a stand alone headset with the Oculus Go, and you would be right. Where the Go positions itself in the lower end of the market, above the Gear VR that Oculus also produce for Samsung, but quite away below the performance of the Rift, the Oculus Quest is designed to be a high-end headset to push the boundaries between itself and the long serving Rift. 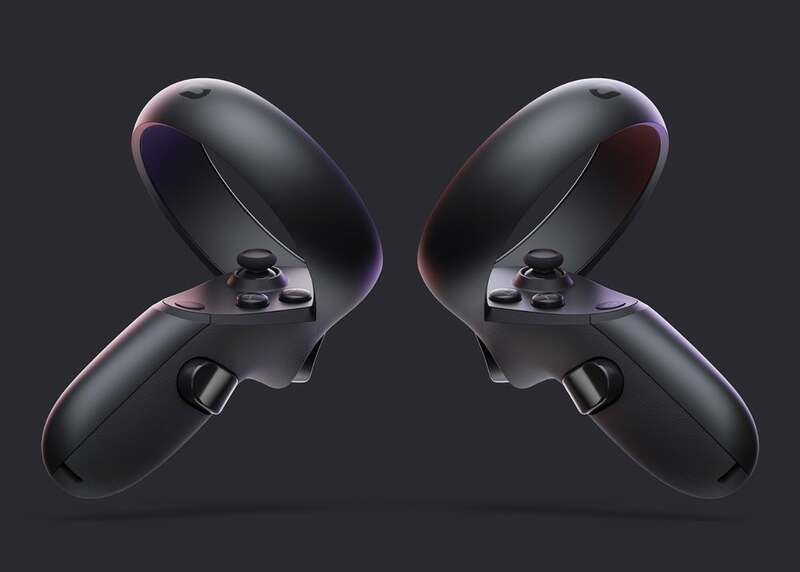 It is capable of doing this in large part due to a similar hardware setup using two motion controllers, similar in capability to the Rift's own Touch controllers and maybe a little confusingly still called Touch controllers, but design wise are quite distinct. On top of all of this the Quest is utilising inside-out tracking built into the headset similar to that of the HTC Vive Focus, the augmented reality Microsoft Hololens or the tethered windows mixed reality range of headsets. This tracking also comes with a new and improved version of the Rift's guardian system, called Oculus Insights, now with full arena-scale tracking, thanks to the built in wide angle tracking cameras. This allows the headset to intelligently map out the external surroundings, enabling the user to not bang into objects as they freely walk around within the headset. These cameras are also tasked with capturing and tracking the controllers in the same way that the Rift sensors tracked both the headset and controllers movement. Arena-scale tracking is said to allow for a much larger environment to be tracked, far more space than would be available in the average home, which means for less need for teleportation mechanics within experiences, granted the user would need to have that space available in the first place. Arena-scale does not stop there, Oculus are also stating that Oculus Insights was designed to enable co-location multiplayer, by building and saving a 'spacial map' of the area scanned (like that of AR headsets multiple rooms can be scanned and saved for quick access) and allowing access of this map by multiple headsets at the same time, which consequently are all able to see each other and allow for local multiplayer interaction. The built in audio is also like that of the Go, but again quite significantly upgraded for a higher quality experience, but without the over-ear headphone setup like that of the Rift, which aids in physical size, but may impact experience due to no noise cancellation from external sources, only time and usage will tell how effective the upgraded audio is. Thanks to all of this hardware packed neatly into a stand alone headset, the Oculus Quest is a very capable machine, meaning that many full Rift games can take advantage of the system without any draw backs, titles such as Robo Recall and The Climb being among titles announced for the system. The lovable little rodent that was a huge success on most VR platforms has also been stated to be coming to the Quest as well. 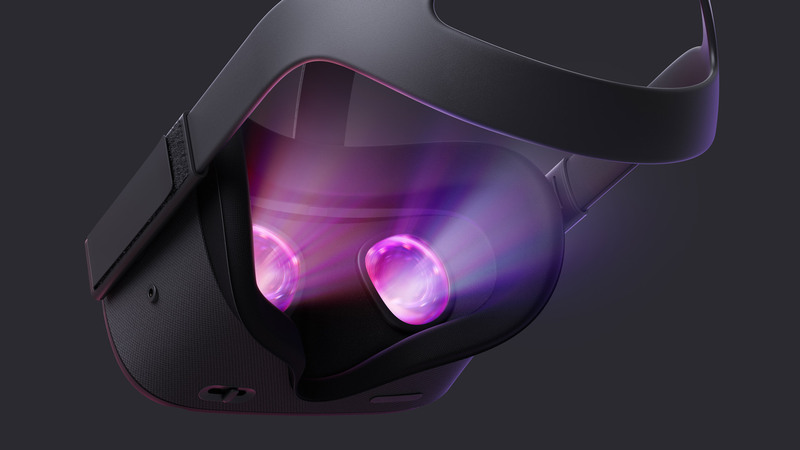 In fact it would be safe to assume that the full Oculus store would be in available to the Quest without much change, apart from some patch updates from developers for compatibility, this being a great advantage for a new hardware to market as it will already have access to a wide library of games that are tried, tested and successful on the Rift. Given if the headset sells well, and at $399 I suspect it will, developers will have a renewed revenue stream and a new audience of users that were previously unable to access VR due to the Rift's requirements on PC. All in all the things that have come out of OC5 thus far on the Oculus Quest have been extremely promising, and has pushed this headset to the top of my must try ASAP list. Thankfully I won't have long to wait till its release, and see how it compares to the earlier prototype model that I tried at GDC2018.